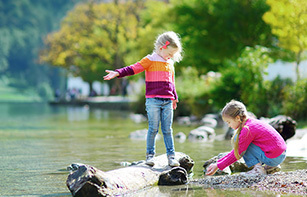 It goes without saying that Eisai contributes to the lives of patients through its products, but Eisai also works to earn the trust of all members of society as a good corporate citizen. Eisai strives to contribute to society based on the corporate hhc philosophy beyond the scope of business operations by undertaking programs that contribute to the advancement of medical science and interaction with the local community. 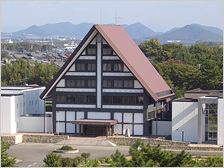 The Naito Museum of Pharmaceutical Science and Industry, Japan's first comprehensive institution devoted to pharmaceuticals, was established in 1971. 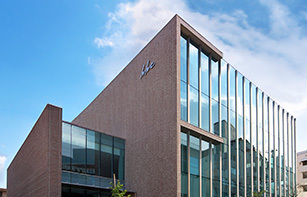 The museum has collected approximately 65,000 documents and 60,000 books, making it one of Japan's leading archives for historical and pharmaceutical documents in terms of both quantity and quality. The museum is open free of charge to assist health care professionals engaged in research and to promote accurate understanding of pharmaceuticals among the general public. Approximately 40,000 or more people visit the museum each year. The adjoining medicinal botanical garden has approximately 600 varieties of medicinal herbs and plants and is also open to the general public. The museum has recently been putting additional effort into creation of its website "Pharmaceuticals Museum," which allows users to visit the museum virtually from anywhere at any time. Work is also proceeding on gathering documents and creating a digital archive. 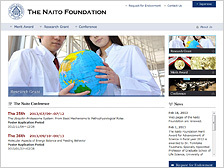 The Naito Foundation was established in 1969. It was established to encourage fundamental research in various fields of natural science which are related to the prevention and treatment of human diseases, and thereby contribute to the promotion of science and human welfare. In order to accomplish the above objective, the Foundation is engaged in various activities including presentation of an award to outstanding research achievements, subsidiary assistance in general and specific research fields subsidiary assistance in inter-institute researches and in invitation of foreign scholars and dispatch of Japanese scholars abroad, and sponsoring and subsidizing of symposia. 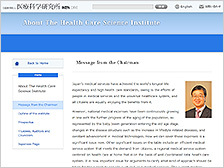 The Health Care Science Institute was established in 1990 and was funded by a donation marking the 50th anniversary of the foundation of Eisai Co., Ltd. 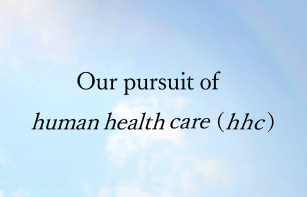 The Institute conducts research on the economics of health care research and other related interdisciplinary fields. 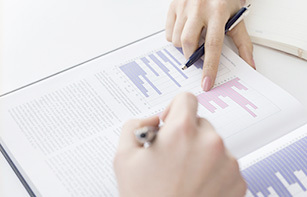 Its principal activities include: (1) provision of research facilities for young researchers; (2) conducting study meetings; (3) holding symposia; (4) conducting contract research; (5) regular publication of the Journal of Health Care and Society; (6) providing research grants; and (7) publishing research results.